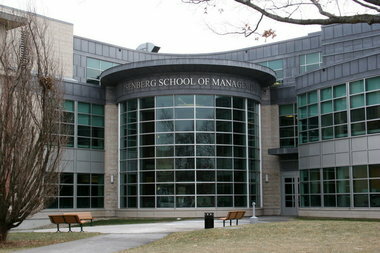 Accredited at the highest level nationally and internationally, the Isenberg School of Management is located at the flagship campus of the University of Massachusetts, Amherst - a resource-rich, public research institution, renowned for accomplishments in technology, entrepreneurship, and sustainability. With 8 undergraduate majors, rigorous MBA and Ph.D. programs, Isenberg emphasizes hands-on, real world learning, through innovative multi-disciplinary projects, internship and study-abroad opportunities, local and global networking events, and a close connection between students, faculty, and network of alumni. Want more info about University of Massachusetts, Amherst, Isenberg School of Management Part Time MBA? Get free advice from education experts and Noodle community members.